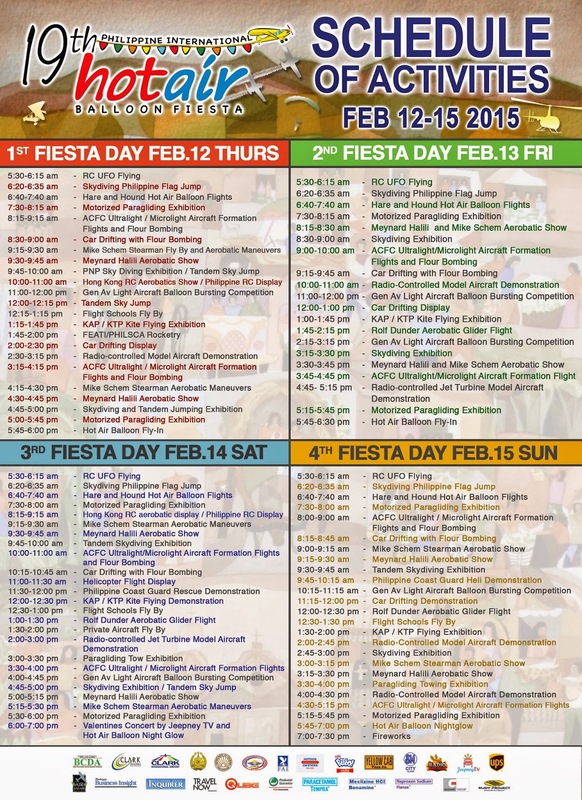 Philippine International Hot Air Balloon Fiesta was founded by former Tourism Secretary Mina Gabor along with some aviation partisans after three years of the tormenting results of the Mt. Pinatubo's last eruption (1991). Their goals are to help the local economy to start up and encourage the fighting spirit of the Central Luzon region. 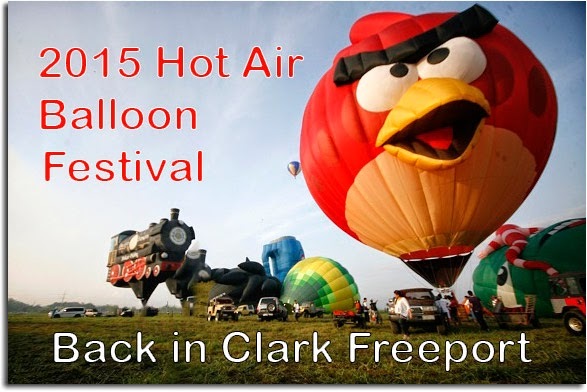 On February 12-15, 2015, the 19th Philippine International Hot Air Balloon Fiesta will be held at Clark Freeport Zone of Diosdado Macapagal International Airport which can be reached via public utility vehicles, private cars and/or by air.